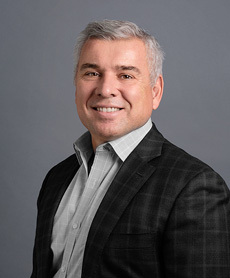 Tasos Konidaris began working with Athyrium in 2015 as a Senior Advisor, having spent more than 25 years leading global finance and M&A organizations in the healthcare and commercial data analytics sectors. Prior to his work with Athyrium, Mr. Konidaris was Executive Vice President and CFO of Ikaria Inc. Ikaria was a $420 million, private equity owned, global company with a novel respiratory drug/device/service solution for critically ill patients. While at Ikaria, he executed numerous strategies to enhance Ikaria's financial performance and return capital to shareholders via debt re-financings and dividend recapitalization. He also played a key role in spinning off Ikaria's R&D arm as its own publicly traded company (NASDAQ: BLPH), and selling the legacy Ikaria to Mallinckrodt for $2.3 billion, providing over 3x return to investors. Before joining Ikaria, Mr. Konidaris was Senior Vice President and CFO of Dun and Bradstreet (NYSE: DNB). D&B is a global leader of commercial risk analytics with annual revenue of $1.7 billion. During his tenure at D&B, he led the finance, risk management and investor relations functions, and executed numerous capital market and M&A transactions. For a period of 15 years prior to his tenure at D&B, Mr. Konidaris held financial and general management roles of increasing responsibilities at Schering-Plough, Pharmacia, Novartis and Bristol-Myers Squibb. In addition, he is currently a Director and Chairman of the Audit Committees at Kadmon Holdings (NYSE: KDMN) and Zep Inc.
Mr. Konidaris holds a BS in Mathematics from Gwynedd-Mercy University and an MBA from Drexel University.